When using the Milling Bath you can machine various materials under water or other liquids. 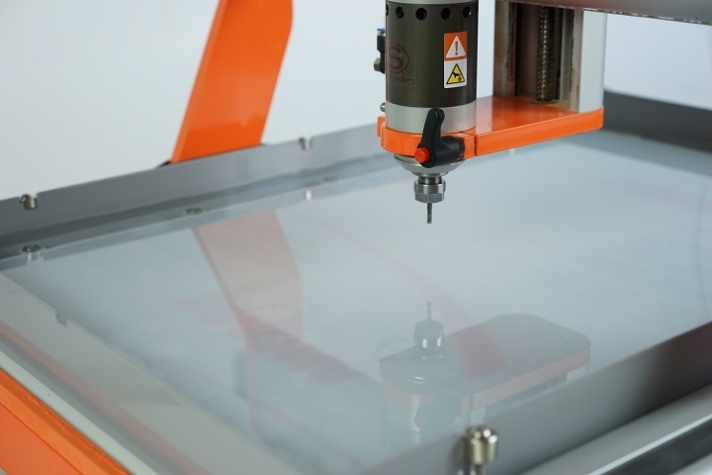 Thus, you do not only achieve a very good cooling, which is helpful when milling Plexiglas, thermoplastics and carbon, but also a retaining of chips in the bath. Additionally, the life expectancy of the end mills is extended. The plates that need to be machined are secured in a comfortable way with the help of clamping bolts. Click the button below to add the Stepcraft Milling bath 840 (550 x 700 mm) to your wish list.